They’re back to their jobs, working productively. They’re back to playing with their kids and grandkids without worrying about elbow pain. They can sleep through the night again. They can lift and grip things without pain in their elbows or wrists. What I’m going to show you on this page is easy to do. You can do it by yourself, at home, anytime you want. It only takes about 15 minutes a day, and it actually works, if you do it. It has already helped many people fully heal their Tennis Elbow. 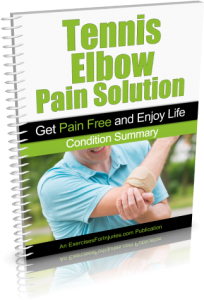 The Tennis Elbow solution I’m going to show you on this page is different than most others because it is based on real scientific research. My name is Rick Kaselj and I’m a Kinesiologist and pain and injury expert. 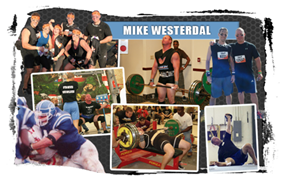 I’ve been helping people heal their injuries and reduce and eliminate their pain for over 20 years. 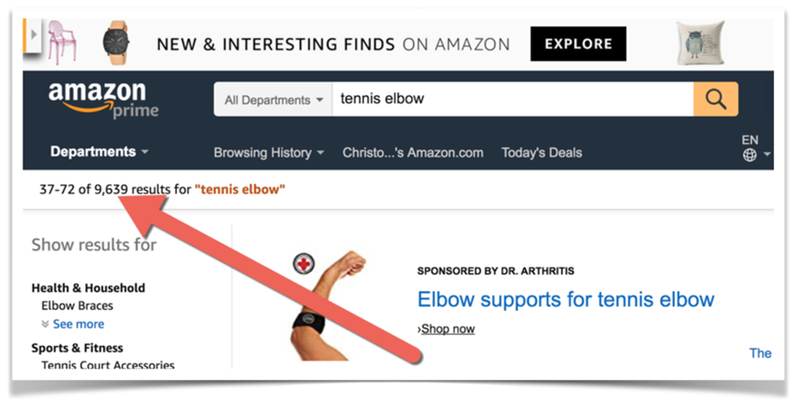 By any chance, have you been to Amazon.com to find a solution to your Tennis Elbow? Let’s head on over to YouTube. HOWEVER... as I mentioned above, what I’ve seen in my more than 20 years of helping people overcome injuries and eliminate pain is that the programs and methods that are based on real scientific research work better and faster for most people. Why does this system work so well to help people reduce and eliminate their Tennis Elbow pain? Self massage is an easy way to quickly decrease tension and increase blood flow to the muscles and tendons near your elbow. Decreasing the tension allows the muscles and tendons to heal, and increasing blood circulation removes metabolites and brings in new blood to aid in healing. In the program, I’m going to teach you several different self massage techniques that you can do in minutes, with just your hand or regular household items. Isometric strengthening uses a special type of contraction that stretches additional fibres in the muscles. 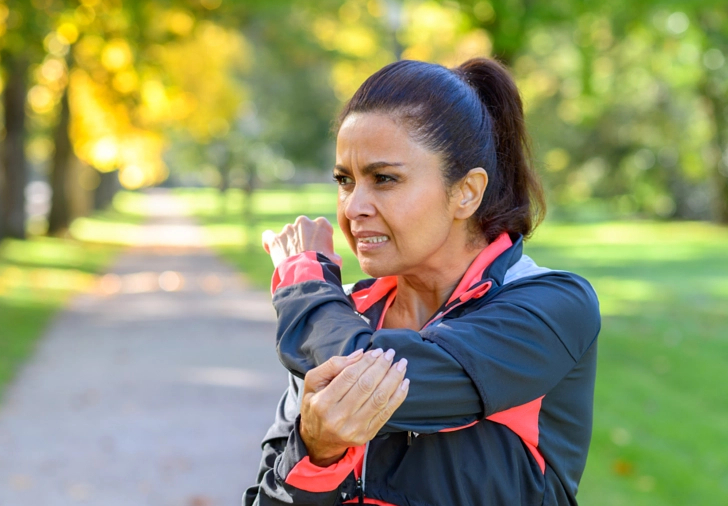 Isometric stretches and exercises are gentle, safe movements, but are highly-effective for strengthening your extensors (forearm muscles), which are a key component in healing and preventing Tennis Elbow. Eccentric strengthening exercises produce collagen to help strengthen the muscles and tendons near your elbow. Several studies have found eccentric strengthening to be highly-effective for healing Tennis Elbow. One study conducted in 2005 found that long-term, 71% of people using eccentric strengthening had completely recovered from Tennis Elbow as compared to only 39% that didn’t do eccentric strengthening and did only stretching (Martinez-Silvestrini 2005). 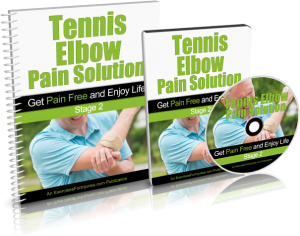 CLICK HERE NOW to order the Tennis Elbow Pain Solution program for just $37! ATTENTION: This web page may only be up for a few more days, because I am planning to merge the Tennis Elbow Pain Solution program with another one of my programs and begin offering them as a bundle. 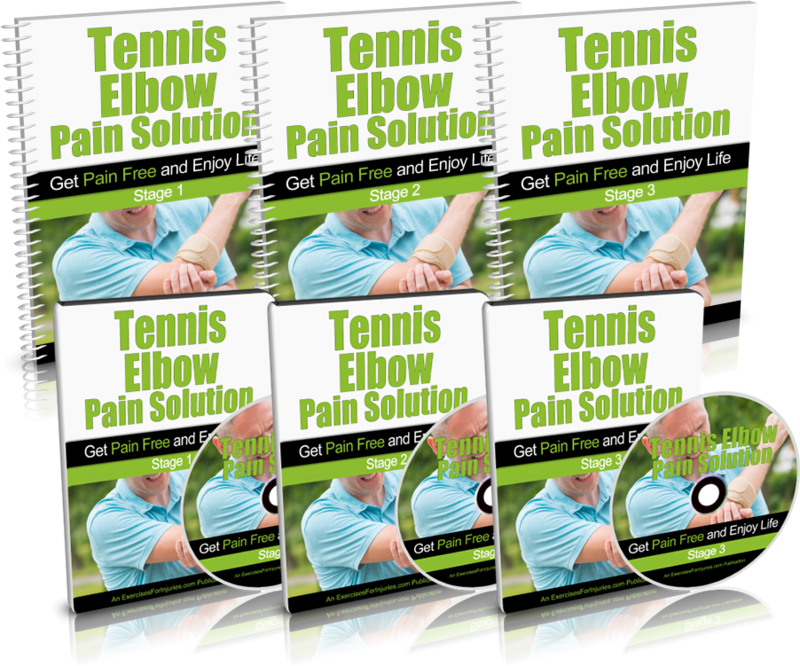 SO… the Tennis Elbow Pain Solution program may only be available for purchase at the special price offered on this page for a few more days! UNLIKE MOST OTHER Tennis Elbow treatments and methods, this program is based on more than 20 different medical papers and scientific studies that are specifically related to Tennis Elbow. In my more than 20 years as a Kinesiologist and pain and injury specialist, I’ve seen that the programs that are based on the conclusions of real medical and scientific research just work better than those that aren’t. You can do this exercise program by yourself, pretty much anywhere, pretty much anytime, with just your body and a few household items you can get at any hardware store. 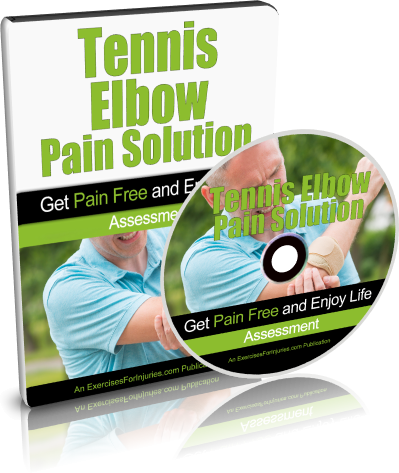 Tennis Elbow Pain Solution program? Below is a description of exactly what each component of the program is and how each helps get you to your end goal >>> FAST REDUCTION AND ELIMINATION OF YOUR TENNIS ELBOW PAIN, so you can get back to your life as it was BEFORE Tennis Elbow! It’s very important, before you get started, to assess your current condition. This is the first thing I do every time I see a new client with Tennis Elbow. We need to understand how much pain you’re experiencing now, how serious your injury is, and what range of motion you can currently handle. Having this information will prevent further injury, and help you get the best possible results, in the shortest amount of time. In this component, you get a video and a brief manual that walks you through, step-by-step, how to do your own self-assessment. Based on this information, you’ll know exactly where to start in the Tennis Elbow Pain Solution program. When you get your Tennis Elbow Pain Solution program, I want you to come up to speed FAST on what you need to know, so you can get started FAST, and start reducing your pain FAST! So, I’ve distilled the educational content down to the most important summary points you need to get going right now. In this Quick-Start Cheat Sheet, I explain, in plain English, exactly what causes Tennis Elbow, and I lay out the exact roadmap we’re going to follow to reduce and eliminate your elbow pain. 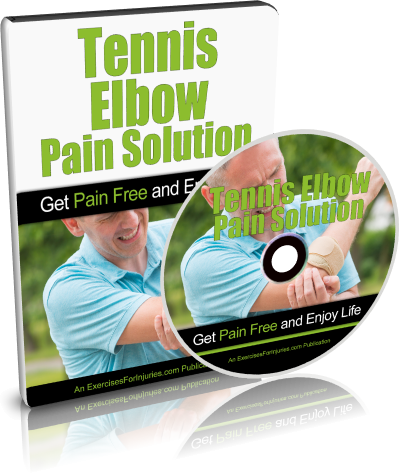 Tennis Elbow Pain Solution is a comprehensive program of gentle, yet highly-effective exercises designed to reduce and eliminate your Tennis Elbow pain, and get you back to your active, enjoyable life. The program is broken out into 3 stages. The 3 stages progress from very easy (Stage 1) to more challenging (Stage 3). This 3-stage structure makes it so that virtually any person can complete this program, even those who have severe pain, and even those who have never exercised a day in their life! The 3 different stages also allow you to self-direct your progress so you get the fastest possible recovery. FOLLOW-ALONG VIDEOS: You also get 3 follow-along videos - 1 for each of the 3 stages. These videos are your very own personal coaching sessions with me. In them, you will do each of the exercises following right along with my exercise assistant, who does them on the video with you, while I count out time and reps, and coach you along the way. 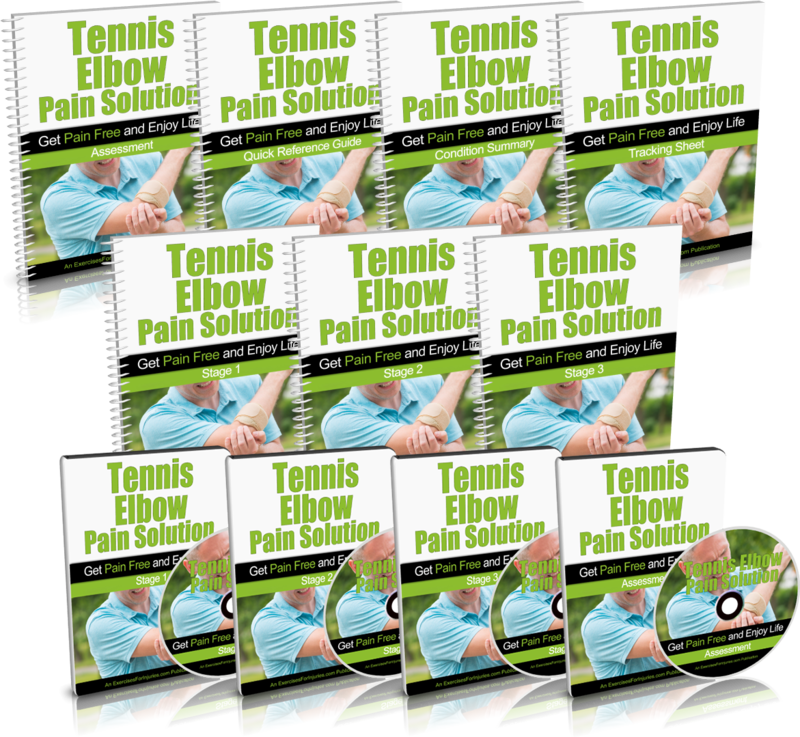 As mentioned above, for each of the 3 stages in the Tennis Elbow Pain Solution program, you get an instructional video, a follow-along video, and a comprehensive manual. No problem. You don’t have to join a gym, or buy any equipment to do this program. All you need is your body and a few household items you can buy at any hardware store. This program comes with a 60-day, no-hassle, no-questions-asked, 100% money-back guarantee. Take the next 60 days to test drive my whole program to MAKE SURE you are getting results. If you’re NOT getting the results you want, I don’t deserve your money, and you should please contact me at (888) 291-2430 or support@ExercisesForInjuries.com. When you do, my team will immediately issue you a full refund. 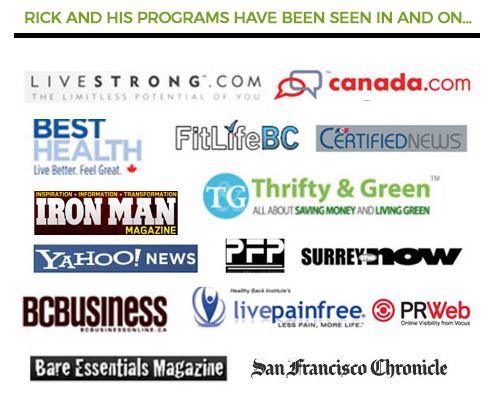 Why do I offer a 60-day, 100% money-back guarantee on Tennis Elbow Pain Solution? To show you how confident I am in this program. This program is based on real scientific studies and research. It includes exercises, movements, and sequences that you won’t find anywhere else. And it works. This program has already worked for many of my clients. I want you to know that you have no risk, so you can get this program and use it with peace-of-mind. I want you to be focused on learning and doing the easy, gentle movements and stretches in this program so you can reduce and eliminate your Tennis Elbow pain. I don’t want you to have to worry about whether it’s going to work, or whether you’re going to lose out, get screwed, or anything like that. With my 60-day guarantee, you can put your mind at ease and just focus on doing the program and getting better. 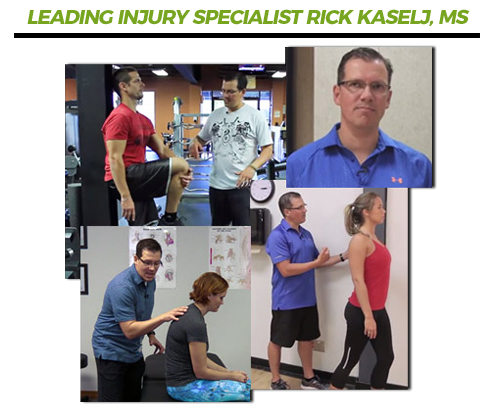 My name is Rick Kaselj and I’ve been a Kinesiologist and exercise and injury specialist since 1994. I’m the guy in the health and fitness industry that not only helps individuals with pain and injury problems, but I’m also known as the expert to the experts, the trainer of the trainers and the teacher of the teachers, because anytime I find a problem that seems like it hasn’t been adequately solved yet, I devote nearly 100% of my time and resources to solving it… and when I do solve it, I share it with everyone in the industry. If you try my Tennis Elbow Pain Solution program for 60 days, with absolutely no risk (it comes with an unconditional 60-day, no-questions-asked, 100% money-back guarantee), I am 98% sure that in just 30 days, you will see some VERY DIFFERENT results, and you will be feeling A LOT BETTER. 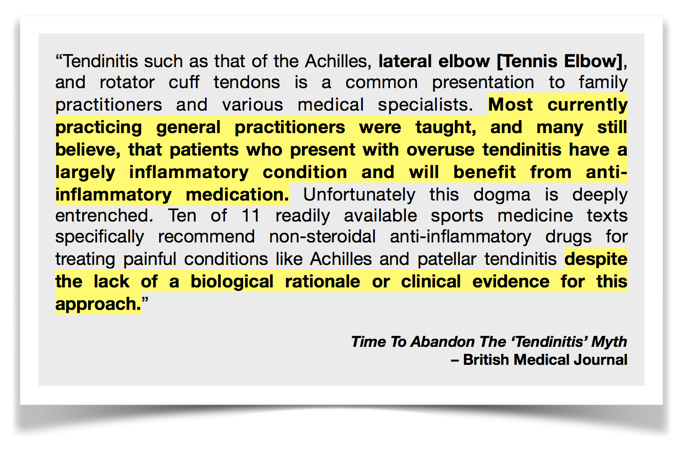 ...to see if my program could REDUCE OR EVEN ELIMINATE YOUR TENNIS ELBOW PAIN? This special discounted price of $37 will not last. This web page may only be up for a few more days, because I am planning to merge the Tennis Elbow Pain Solution program with another one of my injury programs and offer them as a bundle. So, the Tennis Elbow Pain Solution program may only be available for purchase at the special discounted price of $37 for a few more days! You can try this program out for 60 days with no risk! 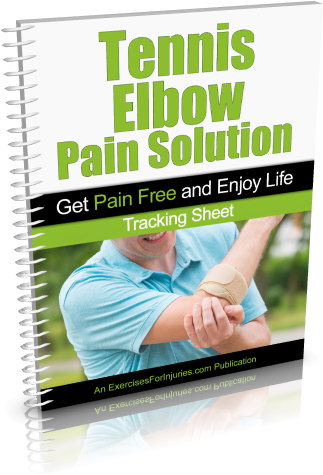 If your elbows are in pain, and causing problems in your life, just get this program and try it out for 60 days. It’s only $37, and you’ll get all your money back if you don’t get the results you want. You have 60 days to go through the entire program, do all the exercises, see what results you get, and judge for yourself whether it was worth it or not. If you feel like it wasn’t, we’ll gladly refund all your money. I was surfing around the Internet and found a bunch of exercises for Tennis Elbow. Will these help? You can definitely find exercises for Tennis Elbow online. But you won’t find a complete program designed to heal and strengthen the muscles near the elbows, the muscles in the forearm, and the shoulder and scapular muscles, all of which support the elbows and wrists, and can contribute to Tennis Elbow. You won’t find a complete program that has been carefully crafted, based on scientific research and real-world testing, that includes ONLY the necessary exercises, with instructions on how to do them in just the right sequence, with the right number of reps and sets. That’s exactly what Tennis Elbow Pain Solution is. Each exercise session in this program is designed to take 15 minutes or less to complete. It may take a little longer in the beginning as you’re learning the stretches and movements, but you’ll have it down to 15 minutes or less in no time because these sequences are easy to learn. The power of this program is not in the actual exercises or stretches you do, but in WHICH ones you do (and which you don’t), the ORDER in which you do them, and HOW you do them… all of which I demonstrate step-by-step in careful detail in the program. Yes, and no. Most fitness and health professionals take a shotgun approach to exercises for injuries. They keep giving you more and more exercises, hoping they will help. I don’t do that. My program only includes the exercises you need. I also recommend you do them in a specific sequence and I give you precise instructions on how many repetitions and sets you need to do. My program has been carefully designed, based on scientific research and real-world testing, and it is a SYSTEM that has already worked for other people. 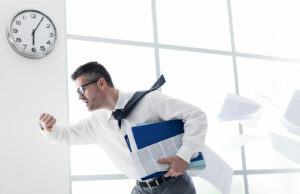 There will be no guesswork or confusion on your part – everything is laid out and easy for you to follow. 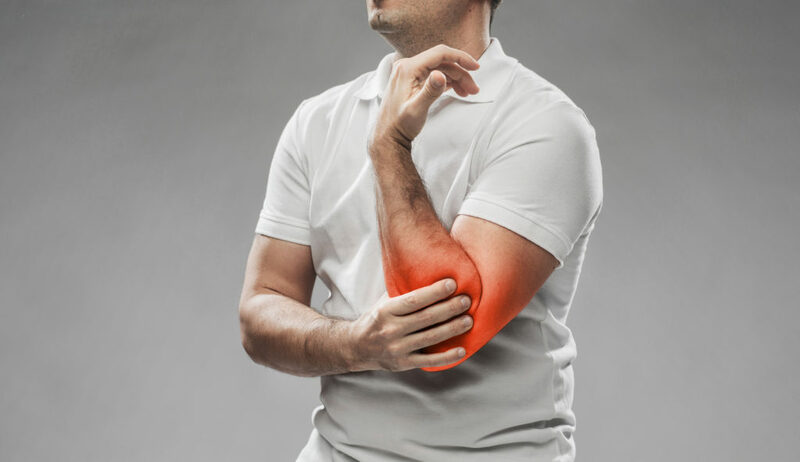 My best advice is for you to stop all of the other exercises you are doing, and focus only on the Tennis Elbow Pain Solution program for at least the next 14 days. I’ve been told that I need to strengthen the muscles near my elbows to heal my Tennis Elbow - is that true? Strengthening the muscles near your elbows is important, but it’s not the only thing you need to do. 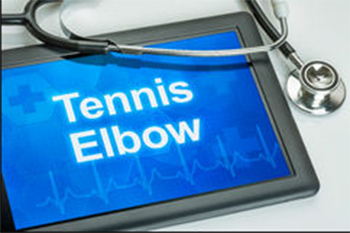 Tennis Elbow is caused by tiny tears or microtraumas in the tendons at the lateral epicondyle. These tears are caused by weakness in the muscles near the elbow, the muscles in the forearm, and lack of support from shoulder and scapular muscles, so you will need to strengthen and heal all of these muscles. And it’s important to work on muscle endurance as well. Something many people don’t realize is that a strong muscle does not necessarily mean it is a muscle with good endurance, and good endurance is crucial for injury recovery and prevention. There are no DVDs – we won’t be sending you anything in the mail. This is a digital video product, which means you can access everything online at our secure download web page. You get access to this download web page and everything in the Tennis Elbow Pain Solution program (all the videos, manuals, cheat sheets, and trackers) immediately after you order. You can immediately download everything onto your computer and get started right away. No waiting for anything in the mail. Absolutely! The videos are in a M4V format that can be viewed from any computer, tablet or smartphone. 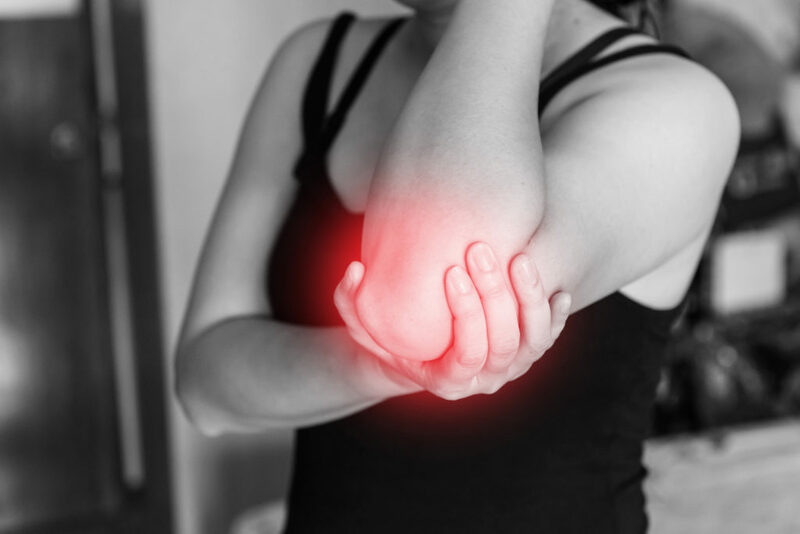 A brief overview of Tennis Elbow, what causes it, and the exact roadmap we’re going to follow in this program to get you back to pain-free elbows! This is the fastest, easiest way to access all the exercises. For every exercise, there is a start and end photo, a quick summary of the exercise, and instructions for how to do it correctly. Simple and easy tracking sheet to measure and track what you do each day in this program. Using this sheet makes the program easier, more fun (it turns it into a game! ), and more motivating. 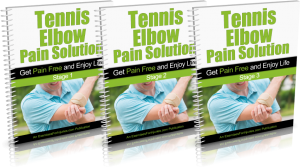 NOTE: The Tennis Elbow Pain Solution program is a set of 7 downloadable videos, and 12 PDF files. No physical products will be shipped. After you order, you will get INSTANT ACCESS to download the videos and PDF files. The PDF files can be viewed on Mac or PC. The video format is M4V which can be viewed on Mac or PC. If you have any questions or need help, you can contact us at support@ExercisesForInjuries.com.